Home / kingston / News / peripherals / store / tech / Kingston brings High-Quality Full Line Up Products Comes with Full Warranty in the Philippines. Kingston brings High-Quality Full Line Up Products Comes with Full Warranty in the Philippines. Kingston Technology today team up with channel partners to promote the authorized partner program in Philippines. 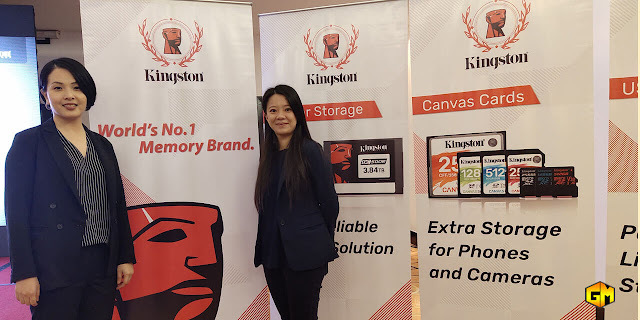 Ranked as the World’s NO.1 memory module manufacturer for the third-party memory market for the 15th consecutive year by IHS and DRAMeXchange with a 68% marketshare in 2017, Kingston teams up with over 300 authorized stores and nearly 500 brand ambassadors to bring the complete full line up and sweet promotions to Philippines. Kingston also showcased their full product line-up for both consumers and enterprise users.